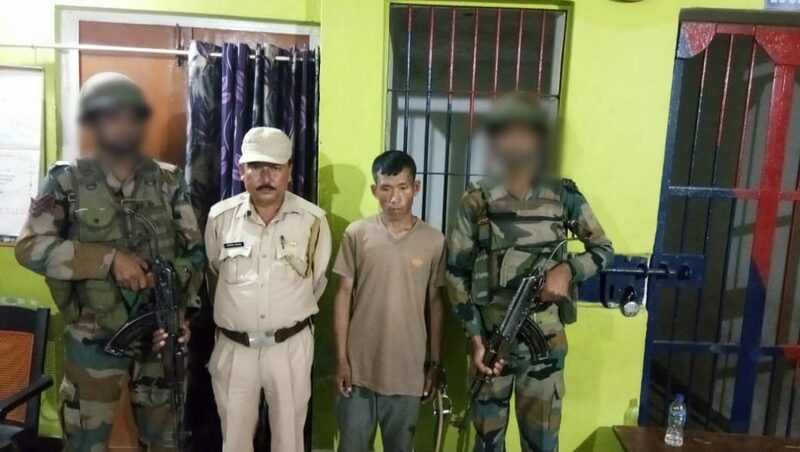 An Indian Army unit under Spear Corps apprehended one NSCN-K cadre identified as Lungphing Hakum alias Hasin Hakum, aged around 39 years on April 14 from Lekhapani in Tinsukia district of eastern Assam. This was disclosed to the media on Monday. After the successful conduct of phase 1 of general elections in the north-eastern region, Indian Army carried out an operation based on a specific intelligence of the presence of the NSCN-K cadre in Lekhapani. The NSCN-K cadre was highly active in the area of Changlang district of Arunachal Pradesh and said to be involved in extortion activities in this region. He joined the outfit in the year May 2003.The apprehended cadre was handed over to Assam Police and an FIR was launched under UPA Act 10/13.